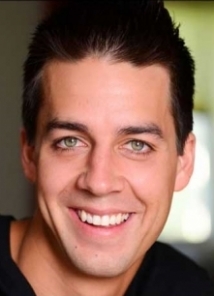 Fresh off his first television appearance on Live at Gotham, award-winning standup comedian John Crist just completed a 2014 tour schedule of over 250 live shows. Crist found himself headlining comedy clubs, colleges and churches all over the country, sharing the stage with some of his favorite comedians including Dave Chappelle, Seth Meyers, Adam Carolla and Louie Anderson. Crist was recently featured on Tim Hawkins latest DVD project That's the Worst and just performed in front of his largest crowd ever, over 7,000 people at Colorado’s legendary concert venue, Red Rocks Amphitheater. In addition to 2014 invitations to the Burbank Comedy Festival and the Cabo Comedy Festival, Crist had the recent privilege of opening for Seth Meyers of NBC’s Late Night with Seth Meyers. Crist's edgy, yet clean comedy comes highly touted as a Denver finalist of the 2013 Comedy Central's Up Next Comedy Competition, winner of the 2012 Denver Improv’s Got Laughs Competition, winner of the 2012 Loonees Comedy Competition and finalist of the 2012 Comedy Works New Faces Contest. In addition to several recent appearances on the Bob and Tom Show, he had the recent honor of performing on a USO Comedy Tour for the Troops in Kuwait. "That's definitely one of the highlights of my career," Crist says. "Going into a war zone to make soldiers laugh was a surreal experience that I’ll never forget." Crist is also currently looking forward to his film debut, sharing the screen with Adam Carolla in his new movie Road Hard (releasing Spring 2015). When asked about Crist, Carolla said, "I hand picked John to come work with me on this film. He’s a great comic." Since his emergence, Crist has been touring the country honing his craft at top comedy clubs like The Hollywood Improv, Gotham Live (New York City), The Comedy and Magic Club (Los Angeles), The Las Vegas Laugh Factory, The Comedy Store (Hollywood), Zanies (Nashville and Chicago), Brad Garrett's Comedy Club (Las Vegas), The Punchline (Atlanta), Flappers Comedy Club (Hollywood) and his home club, The Comedy Works in Denver. His club experience has given him the honor of sharing the stage with some of his all time favorite comedians including Dave Chappelle, Seth Meyers, Louie Anderson, Bill Bellamy, Adam Carolla, Tim Hawkins, Jay Pharoah, Michael Che, Tommy Johnagin, Sherri Shepherd, Josh Blue, Tom Papa, The Sklar Brothers and many more. Crist emerged onto the national comedy scene in 2009 when he appeared on Louie Anderson's Las Vegas Comedy Show Larger Than Life. Anderson, from Family Feud, Life with Louie, Coming to America and one of Comedy Central’s Top 100 comedians of all time, said of Crist, "It's only a matter of time until John Crist is a household name. He is so likable, and his stand up is top notch." Crist made the most of his opportunity and has since become a regular in Las Vegas, returning four times a year. Crist's youthful humor and unquestionable likeability result in a witty combination making him a crowd favorite in clubs, churches, cruise ships, colleges and corporate events. He has performed for numerous Fortune 500 company events, including Microsoft, GE, Lexus and HP Computers. Crist has also performed at colleges and universities across the nation, including public universities like Arizona State, Christian schools like Grand Canyon University and even Dartmouth, one of the nation's top Ivy league schools. Crist has recently teamed up with comedian and internet sensation Tim Hawkins for over 25 church tour dates a year. "Those church shows are insane," Crist says. "If I had a night off and could go watch any comedian in the country, I’d go see Tim Hawkins. That guy crushes."